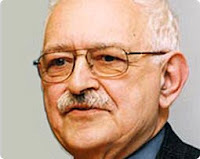 One of the U.S.'s leading academic Marxists, Immanuel Wallerstein, was one of 60-100,000 people attending the the communist organized World Social Forum in Dakar, Senegal from Feb. 6-11, 2011. Other notable attendees included Latin American Marxists former Brazilian President Luis Ignacio Lula da Silva and Bolivian President Evo Morales. The "semi-optimistic" revolutionary Immanuel Wallerstein should be taken seriously. Wallerstein is very well connected internationally. he was once even affiliated to the Soviet era U.S.S.R. Academy of Sciences. In 2008, Wallerstein was one of several Marxists to support Progressives for Obama. In 2007 , Wallerstein served on the board of P.F.O. 's parent body Movement for a Democratic Society - an alliance of former Weather Underground terrorist leaders, Communist Party USA supporters, Democratic Socialists of America and Committees of Correspondence for Democracy and Socialism leaders and independent Marxists. In M.D.S. Wallerstein was allied with with Obama associates Bill Ayers, Bernardine Dohrn, Carl Davidson, Rashid Khalidi and Cornel West, as well as internationally known revolutionaries such as Tariq Ali, Noam Chomsky, Angela Davis, Tom Hayden, and the late Howard Zinn. International revolution, is just that 'international'. It reaches from Brasilia to Cairo, to Dakar, to Moscow and to Washington DC. We are entering a tumultuous era.